Omg, fabric of sesamstreet. We also know these figures in Belgium.. well when I was a child I always looked at this program. Not sure if it is still on tv these days. Oh yes my grands loved that show. 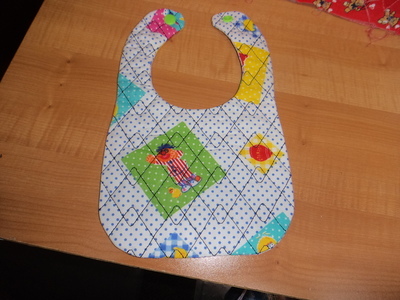 Fabric makes delightful looking bibs Carolyn. Good job! Love the design it is quilted in. 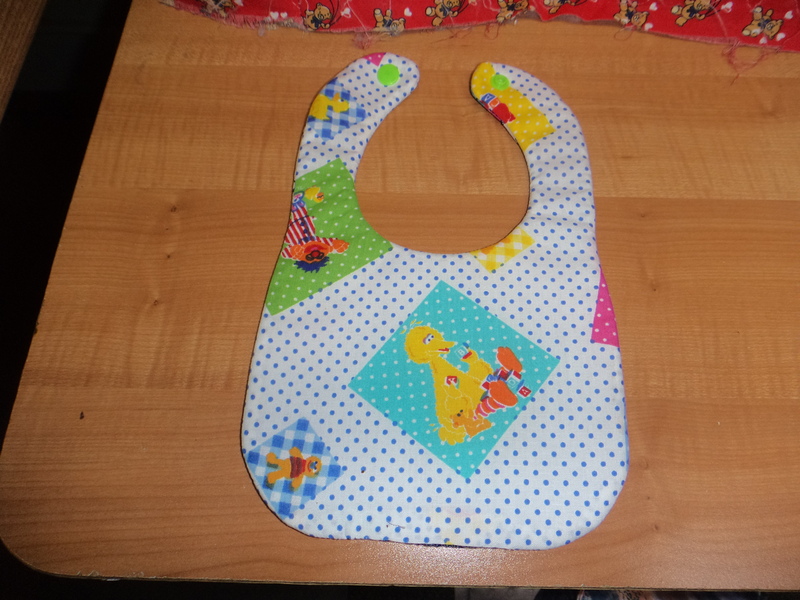 Great bibs. Does it stitch with front fabric and batting then you take out of hoop to sew lining and turn it? very nice Carolyn. You obviously have a large hoop. Well done!! Love stitching bibs and yours is wonderful!